Emmerson Mnangagwa says he will be a leader for all Zimbabweans in a call for unity after rows broke out over his election victory. The president appealed for peace and promised an independent investigation into the military after six people were killed in post-election violence. Opposition leader Nelson Chamisa has described the president's victory as a "coup against [the people's] will". This was the first election since long-term leader Robert Mugabe was ousted. 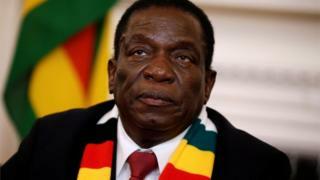 Speaking at a press conference, President Mnangagwa said that Mr Chamisa would have "a crucial role to play in Zimbabwe's president and its unfolding future". He asked the opposition leader to join him in calling for peace and unity in the country, and promised that people's civil liberties would be protected. Mr Chamisa had earlier called the results "corrupted" and said his MDC Alliance would pursue all legal and constitutional avenues to challenge it. The opposition leader said he had evidence that ballot boxes were being transported in open trucks allowing them to be tampered with. He also raised discrepancies between vote tallies, and said his election agent had not been allowed to verify the results on Thursday. Figures released by the electoral commission say Mr Mnangagwa and his Zanu-PF party won 50.8% of the presidential vote - ensuring by only 36,464 ballots that there did not have to be a run-off. Chamisa tallied 44.3% of the almost five million votes cast, with the 21 other candidates taking up the remainder. Results of the parliamentary election gave Zanu-PF 144 seats; the MDC Alliance, which is made up of seven parties, 64 seats, and one seat to the National Patriotic Front, formed by Mugabe loyalists. The political drama in this country has oscillated between euphoria, tragedy and farce - from a remarkably peaceful election day, to the shooting down of unarmed protesters, to the extraordinary sight of a president disowning the actions of his own police. Each day has produced the unexpected and created a febrile atmosphere in which questions about who really controls this country have deepened. Is it Emmerson Mnangagwa, who took over as president after the military takeover in November and won Monday's disputed presidential vote, or hardliners steeped in the brutal practices of the Mugabe era? Mr Mnangagwa needs to show that he is in charge of his security establishment and that he is willing to punish those who have abused civilians. That will be a test of his democratic credentials but also of his relationship with the generals. If he does not the conviction will deepen - at home and abroad - that nothing has changed. What is the mood in the capital? A calm polling day raised hopes of a new peaceful era in Zimbabwe, but as results were counted the capital turned violent. Police have been patrolling the streets of city after clashes between protesters and police on Wednesday left six people dead. Authorities have faced criticism for raiding the MDC Alliance headquarters and trying to disperse journalists before Mr Chamisa gave a press conference. They have since apologised, and President Mnangagwa tweeted that what the police tried to do had "no place in our society". Harare is seen as an opposition stronghold, and correspondents say the city is quieter than normal as people digest the vote. Mr Mnangagwa has vowed to revitalise Zimbabwe's tattered economy after decades of international isolation under Mr Mugabe. The country has suffered from rampant inflation and high levels of poverty. 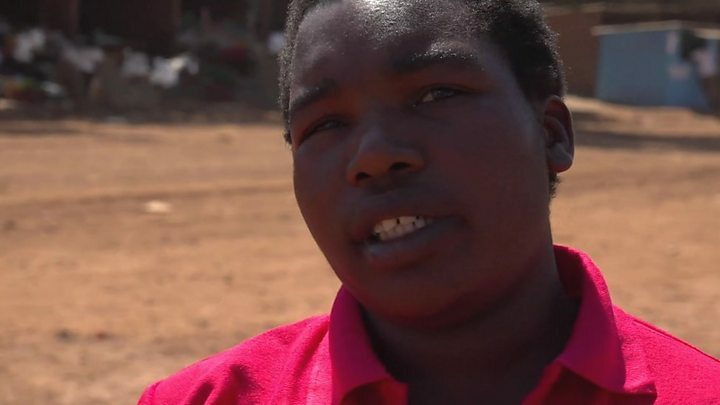 The unemployment rate last year was as high as 90%, according to Zimbabwe's biggest trade union.